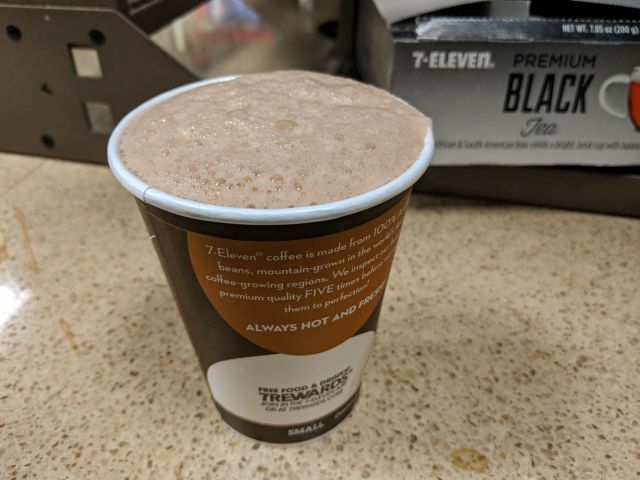 7-Eleven's Reese's Peanut Butter Hot Chocolate is hot cocoa with the flavor of Reese's Peanut Butter. I paid $1.69 for a small 12-oz cup. As a fan of Reese's Peanut Butter Cups, I was happy to discover that the flavored hot chocolate rendition delivered a similar balance of chocolate and peanut butter notes. The drink was smooth without any grittiness. If it wasn't creamy (although they had several creamers that could be added if I so chose) or rich, it was still adequately chocolaty with a pleasant, just slightly salted, note of peanut butter. 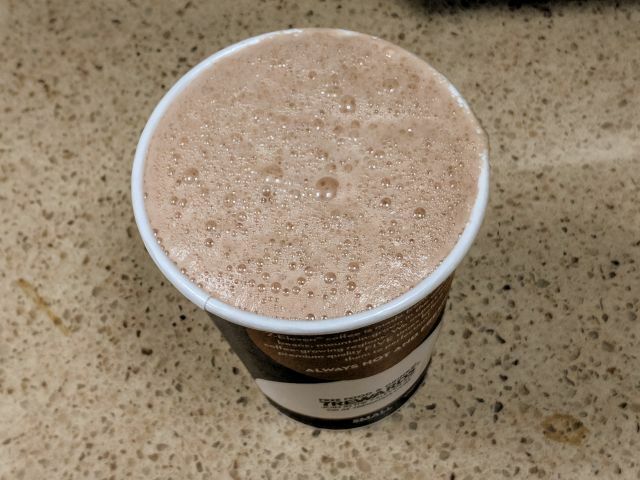 Between the standard rendition of your typical supermarket hot cocoa and the added peanut butter flavor, I really enjoyed 7-Eleven's Reese's Peanut Butter Hot Chocolate.